Thirty-three-year-old Rebecca Conner died this date, October 3rd, in 1853 and was buried at Bethel Burying Ground. Thirty-three-year-old* Rebecca Conner died this date, October 3rd, 1853 due to “Ulceration of the Lungs” and was buried at Bethel Burying Ground. She left a spouse, Issac (31 y/o) and two children Ellen (6 y/o) and Isaac, Jr. (9 y/o). Ms. Conner was employed as a “days worker” and Mr. Conner as a porter earning $3 a week, according to the 1847 Philadelphia African American Census (PAAC). The children and Mr. Conner were born in Philadelphia while Ms. Conner was born in New Jersey. The Conner family lived on Bedford Street which was known historically for its grinding poverty, wretched living conditions, disease, and violence. The family lived in one 10’X10′ room for which they paid $2.50 a month. In 1847, the Connor family included a woman “over 50 years old” who was previously enslaved and her kidnapper was paid $160 for her release. (1847 PAAC) She is not recorded as being with the family in the 1850 Federal Census. Ms. Conner was buried with her six-month-old son who tragically died on August 6, 1849, of Tuberculosis and was buried at Bethel Burying Ground. The 1847 PAAC also reports that the Conners belonged to a “beneficial society” that likely assisted Mr. Connor in paying the funeral expenses for Ms. Conner and their infant son. African American Philadelphians joined together around their churches, trade groups and philanthropic organizations such as the Black Freemasons to assert their self-reliance and not their dependence on white charities. Rebecca Conner was one of these pioneers. Dunbar, Erica Armstrong, A Fragile Freedom. Nash, Gary B., Forging Freedom. *The attending physician was in error when he wrote that Ms. Conner’s age was 28 years old. This was corrected on the Board of Health document and her exact age is supported by the 1850 Federal Census. 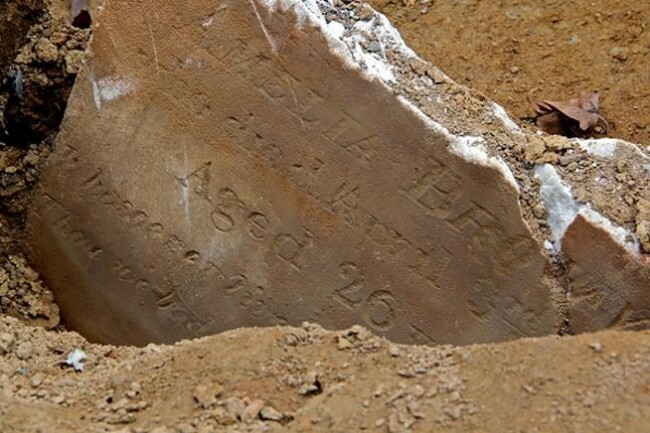 ← Three-year-old Ellen Sprigg died this date, September 17th, in 1845 and was buried at Bethel Burying Ground.